Does Your Bethesda, Maryland Home Need Some TLC? Why Not Start With A Bathroom Remodel? Bathrooms, kitchens, and living spaces are some of your home’s most important assets. Whether you plan to sell your home in the near future or are staying indefinitely, it’s important that these three rooms are kept inviting and beautiful both for value reasons and for the increase in quality of life they provide. If your bathrooms are looking a little shabby, it may be time to invest in a bathroom remodel. You’ll be amazed by the results it can have on your Bethesda, Maryland home. 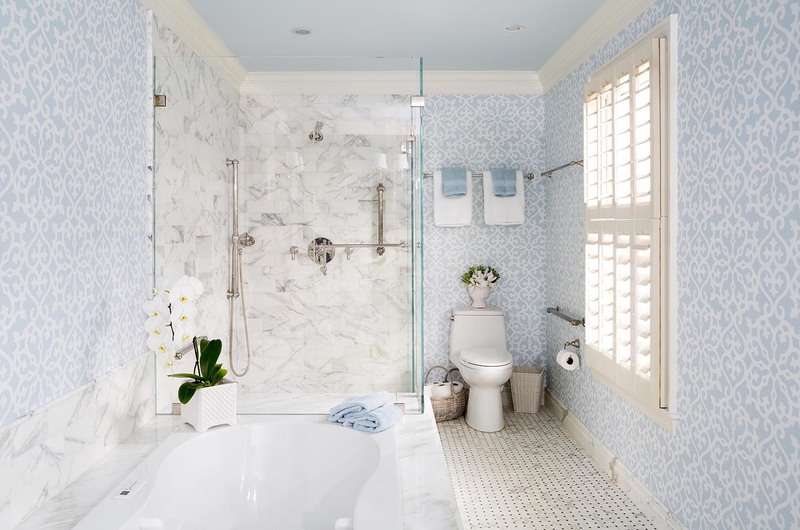 While bathrooms are often overlooked in the grand scheme of a home, they have a surprisingly large impact on its overall comfort. Your daily morning and evening routines (however long or short they may be) and intermittent visits throughout the day start to add up rather quickly. If your bathroom is uncomfortable, awkward, or outdated, you can experience a huge boost to your quality of life by investing in a bathroom remodel. At InSite, we’re careful to hire only the best designers and craftsmen, and the results show in our work. We’ve created incredible bathroom designs and brought them to life all over the Bethesda area. If you dream it, we can create it! A bathroom remodel can be as simple as re-tiling the floor and painting the walls a different color. Or, it can be as complicated as completely redesigning the whole room and adding a jacuzzi for good measure. No matter what your preferred color scheme, countertop, sink configuration, or shower design, we will make sure your new bathroom exceeds your expectations. When we’re finished, you may find your morning routine takes a little longer because you’ll want to stop and admire your new and beautiful bathroom! Why Invest In A Bathroom Remodel? 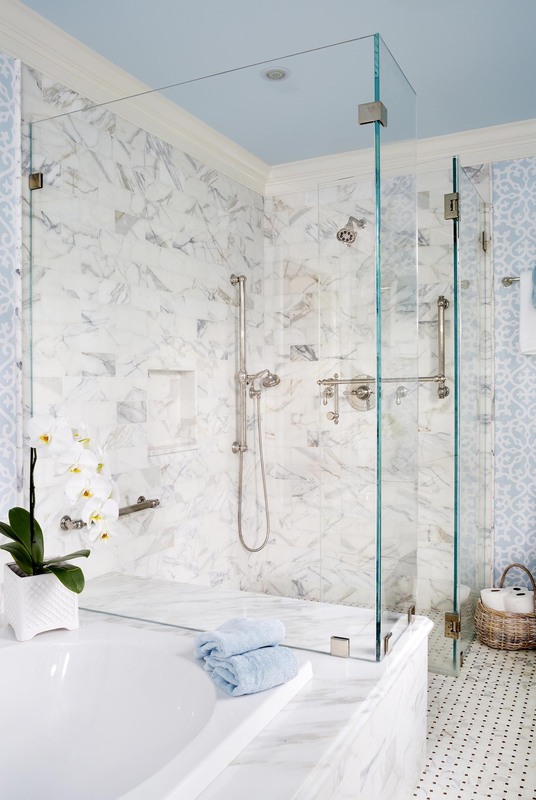 Comfort aside, the bathroom is one of the most influential rooms in the house when it comes to resale value. An impressive master bathroom, or guest bathroom, can increase the long-term value of your home. 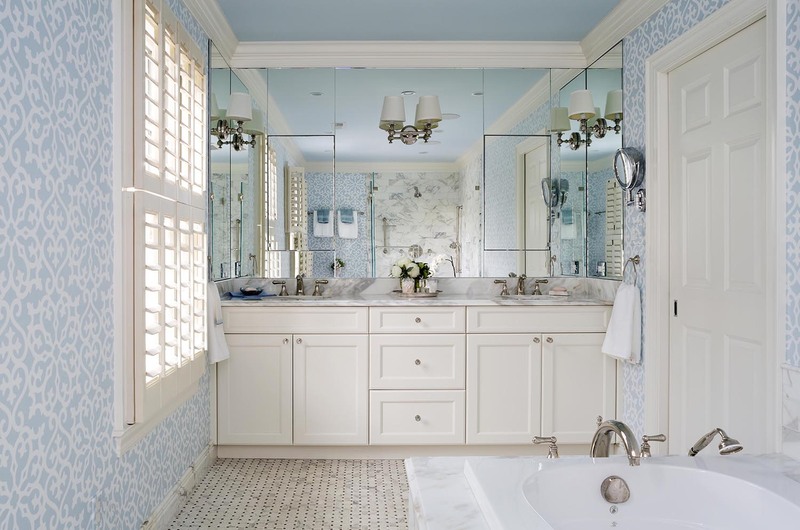 If you’re considering a home remodel, think about investing it in one (or more) of your bathrooms, especially if you plan to sell your home at some point. We take pride in providing a high level of service and exceptional results. Even more importantly, we strive to create a finished work that reflects the style of your home and that you can enjoy for years to come. To ensure this, our process is rooted in one simple thing: listening. During your first phone call to us, we will ask you and your spouse to compile a wish list of things you want in a bathroom remodel. We’ll use this list to guide the rest of the project. Based on the scope of your remodel, we’ll then select a team of architects and designers who are a good match to form your personalized team. Next, we will meet with you and your spouse in your home to discuss your remodel, which our team members will then begin to bring to life on paper. One of our craftsmen will also examine your bathroom to make sure we won’t run into any structural snags that could drive your costs up. Finally, we will review your budget to make sure we are all aware of its scope. Our designers will then present their final drawings to you, and you’ll have the opportunity to help finalize them. Once you are satisfied with the designs and have signed off on them, we will begin construction! There are many remodeling companies that provide good service to the Bethesda area. However, there are several things that set us apart from the others. First, we are a design-build remodeling company, meaning that we will take care of your entire project from start to finish. You’ll only have to worry about one point of billing, and can stay with the same trusted team for the entire remodel. We also offer excellent design and craftsmanship and use only the finest tools and materials. Our job isn’t finished until you are completely satisfied with your bathroom remodel! To us, you’re not simply another home renovation to check off our list. We care about you and your property and want to earn your trust to the point where we’re the first ones you call when you need a project done. We would love to be the company you recommend to family and friends when they’re looking for home remodelers! In the process of turning your house into the home of your dreams, we hope to earn your continuing business as a Client For Life.